The first time I heard about the counterfeit win, I thought it might be one of the most powerful leadership concepts I’d ever heard. I was right. This is mission-critical for teams that don’t want to stop with success; they want to flourish. Here’s the principle: a good product with a bad process is a counterfeit win. That’s it. It’s short and to the point, and I wouldn’t be surprised if you just had a punched-in-the-gut moment. You might be experiencing counterfeit wins every time you go to work. You will feel it when you are part of this type of success. At the moment the results come in or the project is completed or the contract is signed or a new client raves about your team’s work, it feels like a win. But when you think back to the process involved in getting there, you know inside it was pretty terrible. The means to accomplish the end wasn’t something you’d want to tell a friend about. Let’s say you’re on a church staff. You’re having great success with new visitors. The Sunday services seem off-the-charts good. 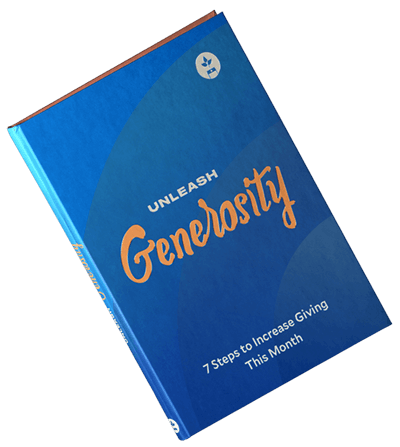 The church is growing in many areas, more kids show up than you have space for, young adults want to be involved and serve, and giving has reached higher levels than ever before. All things are a go. Except for one little problem. The team is unhealthy. Everyone needs to take Mondays off. Not to recover from being tired, but because no one wants to be in the same room with each other on Monday. The stress over the weekend was so high that on Mondays staff members are ready to hide in a dark room. The team culture is toxic. Areas are in silos, isolated, because there is no connection or healthy relationships. Teams work together only because they have to, not because they want to. Meanwhile, the target market loves what your team is doing. On weekends they experience your “product,” and the next weekend they come back for more. It’s the best they have seen. Given the response to what you’re doing, how could you not be winning? The audience is growing, and anyone serving on any church staff would count this as a huge success, right? But to you it feels as if you’re losing. That’s why it’s counterfeit. It feels like one thing to those outside your organization or team and something totally different to those involved behind the scenes, to those who are in the process. When there is a deep discrepancy between experience for some and reality for others, the counterfeit win is fully alive. And it’s not just that you and other staff members can see behind the curtain. It’s because counterfeit wins are not sustainable. Staff members will leave, and new staff will arrive and then leave. The ones who stay will burn out and lose their effectiveness. Some of them will become even more toxic and will poison what remains. Some or all of this is likely to take place, and then the whole thing will hit a tipping point—a point of no return, the place where the wins cease. You’ve probably either seen this from a distance or you’ve experienced it yourself. Leaders fight for a healthy process. As a matter of fact, they will settle for nothing less. They want not only an amazing product but also the ability to enjoy creating it with their team! I don’t know any business leader who likes high turnover. Unless it’s a leader who turns over staff like crazy as he or she keeps looking for people who can just get it done, no matter the cost. I’m talking about that. I’m referring to a team that is committed to the mission but is disturbed by the way the mission is accomplished. This is the opposite of life-giving leadership. Life-giving leaders have life-giving teams, and they retain staff much longer than their counterparts. One of the most frequent questions asked by leaders in business, ministry, and the nonprofit world alike is this: How do you find and keep good talent? The answer is simple: Make your workplace life-giving. Make it irresistible. You have the title. You get to create the culture. Leaders, we can’t settle for counterfeit wins. Often when we make short-term decisions instead of investing in long-term play, such as culture and team building, we end up losing. It might provide a quick and easy win, but it will not benefit you in the long run. It feels good to get that off my chest. Now let’s look at three ways to avoid counterfeit wins and create life-giving teams. 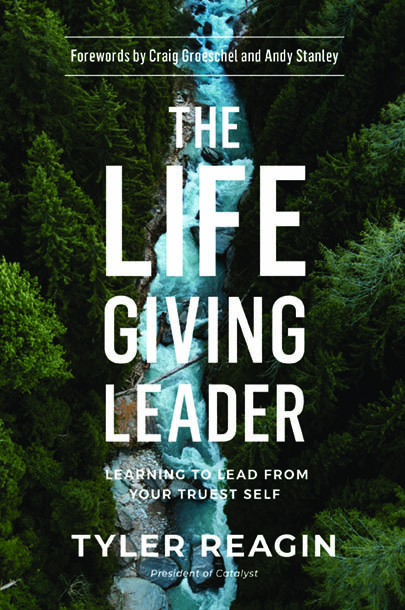 Editor's note: Excerpted from The Life-Giving Leader: Learning to Lead from Your Truest Self. Copyright © 2018 by Tyler Reagin. Used by permission of WaterBrook, an imprint of Penguin Random House LLC.